The Red Cross is not only known for blood drives, but also for helping when a disaster strikes. A sudden fire can leave a family’s dreams in ashes. But, the Red Cross always acts quickly to provide the emotional and practical support. Your gift will provide one day’s worth of food and shelter to a family to keep them going until they have a place to call home again. 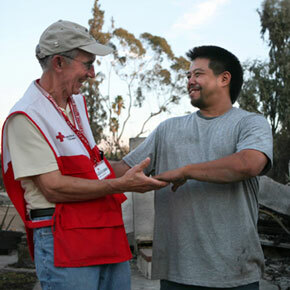 The Red Cross relies on volunteers, but it also relies on you. This holiday season you could provide relief to a family like Michaels and make the difference in someone’s life. For $200 you can supply one day of food and shelter for one family. This can be purchased online or in the catalog.